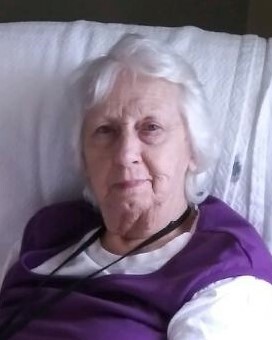 Ruby Ison, age 83, of Wilmington, Ohio, passed away Monday morning, February 11, 2019 at Clinton Memorial Hospital in Wilmington. She was born October 19, 1935 in Elkfork, KY, daughter of the late Floyd and Gladys (Williams) Whitt. Rudy enjoyed taking care of her family. She was a loving wife and mother. Surviving are her loving husband, Damon Ison, who she married on May 15, 1954, two daughters, Sharon (Rodney) Keefe of Jacksonville, FL, and Pharron Ison of West Chester, OH, five sisters, Ruth Carnes, Reva Conley, Ella Rae Evans, Rosa Lee Fraley, and Rita Daniels, many nieces and nephews. In addition to her parents, Ruby was preceded in death by her brother, Rex Whitt. Funeral Services will be held at Fisher-Edgington Funeral Home, 97 W. Locust St. Wilmington, Friday, February 15, 2019 at 1:00 pm with Pastor Mike McCormick officiating. Interment will follow in the Sugar Grove Cemetery,Wilmington. Friends will be received at the funeral home on Friday from 11:00 am - 1:00 pm.